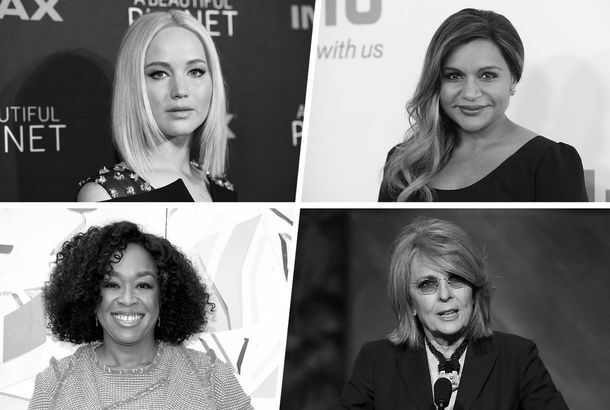 25 Famous Women on Being AloneWhat solitude means to Shonda Rhimes, Diane Keaton, Jennifer Lawrence, and more. Delpy and Hawke on Before Midnight’s Big DebateThis is not really the kind of movie that requires a spoiler alert, but fine! The Many Long-Sleeved Black Dresses of Julie DelpyIn appreciation. Third Before Sunrise Movie Done With FilmingAnd it’s called Before Midnight. Movie Review: 2 Days in New YorkJulie Delpy’s follow up to 2 Days in Paris is an assured, sensitive, and occasionally very funny relationship comedy. Julie Delpy Explained Her Vaginal RejuvenationPlus: Will Ferrell hysterically bemoaned that “trampire” Kristen Stewart’s infidelity, and more, on our daily late-night roundup. Watch Chris Rock in a 2 Days in New York ClipChris Rock wants to get a little frisky, but Julie Delpy’s amorous sister thwarts his intentions. 2 Days in New York Trailer: Chris Rock vs. the FrenchJulie Delpy and Chris Rock’s indie romance. Julie Delpy Had to Abandon Her Own Sundance Panel Discussion to Go to the HospitalMovie publicity does not trump a blinding migraine. Julie Delpy to Direct Joe Strummer BiopicThe future, while unwritten, will be directed by Julie Delpy. Ethan Hawke and Julie Delpy to Begin Writing Third Before Sunrise FilmThe ballad of Celine and Jesse continues. Grace Kelly, Sophia Loren, Angelina Jolie, and Their Model DoppelgängersAlso, see Michelle Pfeiffer and Catherine Deneuve lookalikes. Steven Seagal Demands an Apology, His Career BackJulia Delpy, Uncle Kracker, and Batman!